Andrew I. Rackoff, M.D. has been with our practice since 2009. The beauty of Western North Carolina and the opportunity to serve its friendly and caring residents attracted him and his wife to this area. He specializes in the diagnosis and treatment of digestive disorders and the performance of EGD, Colonoscopy, ERCP, Capsule Endoscopy, Esophageal Manometry and PH Studies. He is board certified in gastroenterology. Dr. Rackoff received his medical degree from the University of Cincinnati College of Medicine, Cincinnati, OH. He completed his internship and internal medicine residency at the Medical University of South Carolina (MUSC) in Charleston, SC, followed by a fellowship in Gastroenterology at the University of South Florida in Tampa. 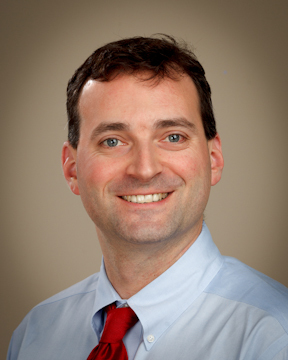 Dr. Rackoff has researched and developed various publications in gastroenterology and Medicine journals as well as a variety of presentations at National GI Meetings. He is currently affiliated with Pardee Hospital, Park Ridge Health, and Transylvania Regional Hospital. Dr. Rackoff is a member of The American Gastroenterology Association, American Society for Gastrointestinal Endoscopy, The NC Medical Society and The American College of Gastroenterology. He lives in South Asheville with his wife, Elise Rackoff, M.D. who is a dermatologist in Asheville, and their 4 children. He enjoys hiking, camping and traveling with his family.